What makes Camp Ramah in the Berkshires unique? Ramah is a transformative Jewish experience for campers, staff, families, and communities of the New York Metropolitan area. 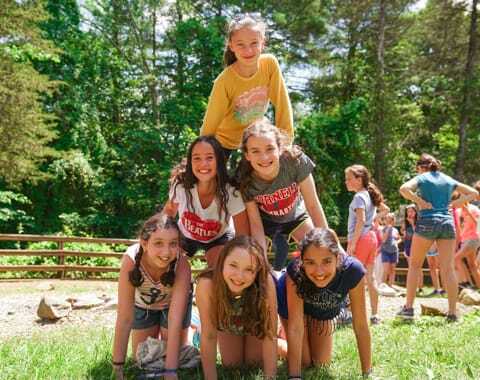 Located on over two hundred acres in lower Dutchess County, Camp Ramah in the Berkshires provides an immersive Jewish camping experience in which campers will learn new skills and develop lifelong friendships. Our campers participate in a mix of arts, athletics, and outdoor education programming infused with a love of Israeli culture and Jewish heritage. Through shared prayer, song, and communal living our campers and staff develop strong Jewish identities. Camp Ramah in the Berkshires is an inclusive community with the Breira B’Ramah program helping children with learning and social challenges experience the magic of a Ramah summer. What grades does Camp Ramah in the Berkshires serve? Camp Ramah in the Berkshires has programming for campers entering grades 3 – 11. Camp has two sessions. The first session is approximately 4 weeks, while the second session is approximately 3 weeks. Campers entering 4th grade may choose from the first or second session. Campers entering grades 5 – 8 may enroll in either one session or the entire summer. Campers entering grades 9 -11 must enroll for the entire summer experience. Ta’am Ramah (Taste of Ramah) is an eight day program for first time campers entering 3rd grade. Click here to see 2019 Ta’am Ramah dates. Where will my child live? How are bunk assignments made? 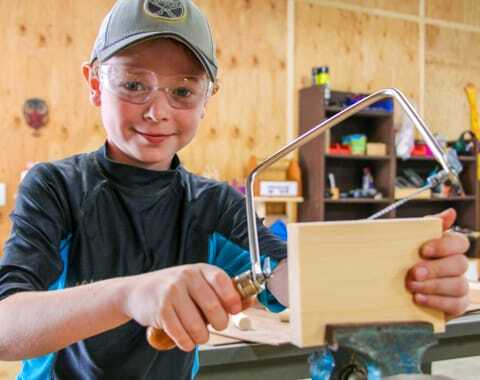 All campers live in bunks with 12 – 16 campers and 2-5 trained staff. Bunks are divided by gender and school grade. Campers are provided shelving for personal possessions. Each bunk has two showers, sinks, and bathrooms. Bunking requests can be submitted via our digital form in the spring. Yes! We believe that Ramah should be accessible to every family who wants to be part of our community. Click here to learn more about financial assistance. Yes, we have your child’s food allergies covered. The most important job we do at Camp Ramah in the Berkshires is to safeguard your child’s health and safety. CRB is “nut aware.” We do not serve or cook with any products containing nuts or traces of nuts. Specific camper food allergies are addressed on an individual basis. Contact campercare@ramahberkshires.org. to discuss food allergy issues. How will I communicate with my child while they are at camp? While your child is at camp you can send letters through the postal service or email your child(ren) through our online system. Campers cannot email their parents back. Each day, except Shabbat, emails are printed and distributed with the mail delivery. Am I able to visit camp before I enroll my child? We encourage interested families to visit camp on Camper 2020 Day scheduled for Sunday, July 7, 2019. Click here to register. If you cannot make it up to camp on that day we are happy to set-up a tour during the summer months. Email info@ramahberkshires.org to arrange a tour.